Are you desperate for Japanese beetle control methods that actually work? I know full well that insect control in the home garden is very important for the longevity of your garden crops. Certain insects can be relentless and destroy everything in it’s path that tastes good to them. The battle or war against Japanese beetle adults requires patience, persistence, and diligence in order to prevent adults from causing substantial damage to vegetable crops, roses and other susceptible plants. With different ways for Japanese beetle control. Answer the question “What do Japanese Beetles Eat?” to help you prepare for identification and problems. 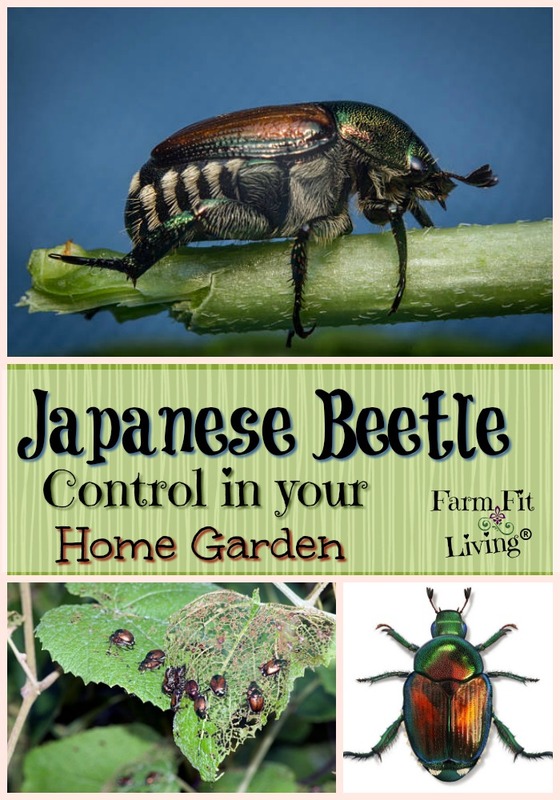 Become in control as you learn how to get rid of Japanese Beetles. The Japanese beetle is obviously native to Japan and was first reported in the United States in 1916 in the state of New Jersey. Currently, Japanese beetles are established from Maine to Georgia and in nearly every state east of the Mississippi River and several mid-western states, including my home state of Kansas. Japanese beetles are slowly moving westward. They are becoming one of the most destructive insect pests of horticultural plants in both landscapes and gardens. The larvae or grub is a major turf grass insect pest in home lawns, commercial settings, and golf courses. But how do you recognize them? Well, let’s talk about what they look like. I’ve included some pictures for viewing as well. Here’s a brief synopses of what different versions of this beetle looks like as well as the japanese beetle life cycle. What you would mostly see is the adult version of the beetle. Japanese beetle adults are 9/16 of an inch in length and metallic green with coppery-brown wing covers. There are about 14 tufts of white hair present along the end of the abdomen that you can see under a microscope. Adult Japanese beetles emerge from the soil mid summer and live from 30 to 45 days feeding on plants over a four-to-six-week period. The Japanese beetle larvae is a white grub that looks much like the other grubs found in the soil. Larvae is most destructive in lawns or roots. But the beetle it’s self is even more destructive. Let’s talk about what they eat (or what they destroy). While the grub can be a pest of the lawn, feeding on the roots. Moreover, Japanese beetle adults produce aggregation pheromones that attract individuals (both males and females) to the same feeding location. Adults can fly up to five miles to locate a feeding site; however, they tend to fly only short distances to feed and lay eggs. But the bottom line is, they multiply like crazy! And a lot of beetles can cause a LOT more problems. Another way to identify these types of beetles is to notice their feeding habits and the after math of the leaves. Japanese beetle adults feed through the upper leaf surface (epidermis) and leaf center (mesophyll), leaving the lower epidermis intact. They are also most active during warm days, feeding on plants exposed to full sun throughout the day. Japanese beetle adults start feeding at the top of plants, migrating downward after depleting food sources. Adults chew holes in flower buds; preventing flowers from opening or causing petals to fall prematurely. Furthermore, adults will consume entire rose petals, and feed on the pollen of fully-opened flowers. And that’s only part of the trouble these trouble makers cause. What Type of Trouble Do They Cause? Damage from the adults is defoliation of the host plant. The good news is, many well established plants will be able to tolerate minor feeding with no loss in vigor. So, there’s time from when you notice the first signs of damage to start control of these pesky beetles. The feeding tends to be more in mid to late summer, which means the plant has had more time to store food reserves for next year. 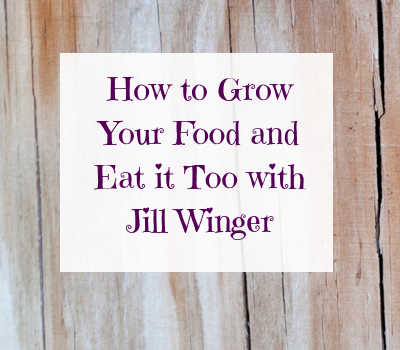 So, there’s a good chance your plants will be ok. But you need to be on top of them. Know they are coming and be prepared. Let’s talk about what methods are used to control the Japanese beetle. You have several different options for controlling Japanese beetles. Also, placing certain plants in your landscape that are japanese beetle repellant plants can also help. Or remove weeds that the Japanese beetle are attracted to, such as the Pennsylvania Smartweed. Next, there is the Physical option of hand-picking or collecting adults in the morning when air temperatures are cooler. Place a wide-mouth jar or bucket containing rubbing alcohol or soapy water for the beetles to fall into when touched. This hand-picking procedure should be conducted daily or every other day. It’s an effective organic control method that may substantially reduce plant damage. Finally, let’s talk chemicals. Repeat applications of certain products, such as Sevin or Cyfluthrin can be used to suppress Japanese beetle populations. Keep in mind, though, that sprays could also directly harm many natural enemies of the Japanese beetles but also good insects, such as pollinators. The best way around that is to spray chemical in the early morning or late evening when good pollinators are less active. But remember that if there’s an excessive population of these beetles present, you could be seeking several applications and more damage before they are controlled. You have several options now for controlling Japanese beetles. You know life cycle, what they look like and even what they like to feed on. With all of this in mind, make a plan now for controlling. Know what methods are used to control the Japanese beetle and choose the method that will work for you. Don’t give up. You might be interested in trying several options at once just to get a handle on them and control them as quickly as possible.